The break-down of talks between U.S. President Donald Trump and North Korean Chairman Kim Jong-Un at their second summit in Hanoi – whether a surprise or not – has been met with mixed reactions. The no deal-summit does not bode well for those hoping Kim Jong-Un will accede to denuclearization or maintain a moratorium on testing intercontinental ballistic missiles of any type. However, Tokyo may well see the failure in talks as a modicum of hope to regain access to denuclearization negotiations on the Korean Peninsula. 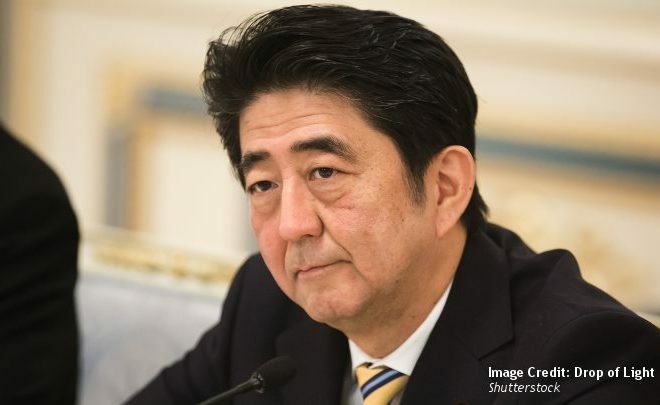 Following years of pressure politics towards North Korea, Prime Minister Shinzo Abe has been backtracking to avoid being side-lined on the Korean Peninsula peace process. In his annual policy speech before the Diet, Abe vowed to “break the shell of mutual mistrust” beleaguering bilateral relations. Central to the long-standing enmity is the abduction of Japanese nationals during the 1970s/80s by North Korea. This became a key campaign promise for Abe, who approached the abduction issue with unyielding pressure that ultimately marginalized Japan from the most prominent security issue in the region. There now may be another opportunity for Japan to at least join negotiations, however, the stakes are high in the current diplomatic freeze and expecting too much at an early stage will not help defuse the tensions. With the inauguration of Donald Trump in 2016, the geostrategic position towards the East Asian region shifted considerably. Dubbed “frenemies”, the uneasy relationship between president Trump and North Korean leader Kim Jong-Un continuously worries Tokyo. The ambivalent outcome of the Singapore summit, at which Trump promised to bring up the abduction issue, only fueled uncertainty over shifting U.S. policy on North Korea. In fact, it is unclear as to whether President Trump was at all successful in communicating Japan’s main concerns. It should, therefore, not have come as a surprise that Prime Minister Abe acted on his own accord to take up the issue. Allegedly, high-ranking North Korean and Japanese officials held behind-the-scenes talks in Mongolia and other undisclosed locations throughout the second half of 2018. Although U.S. policy makers were taken aback by Tokyo’s uniliteral approach, the understanding is that Japanese lawmakers were eager to take matters into their own hands when faced with an unpredictable administration in Washington. It is important to note that Prime Minister Abe has long considered meeting Kim Jong-Un in person. In a speech at the United Nations in 2018, he seemed unusually eager to abandon his long-held resentment towards Pyongyang. Although Tokyo has been clear that a face-to-face encounter would only take place if North Korea was similarly eager, Abe has been explicit that he would not be dissuaded. Facing the issue head-on, Abe seized the opportunity after the ambivalent Hanoi summit to reiterate his stance once again when meeting the families of the remaining abductees. When, or whether at all, the two leaders will ultimately meet is unclear. What is clear, however, is that Prime Minister Abe has been conscious in approaching North Korea in softer tones, comparatively, to his previous “maximum pressure” course of action. While Japan’s unilateral actions might restore trust in a broken relationship with North Korea, keeping other channels of communication open cannot harm the efforts. Although it is a good sign that North Korea has so far not pulled out of bilateral talks with Japan, the situation on the Peninsula is at risk of deteriorating. Japan simply cannot afford to only pursue bilateral talks over the long-run as it would likely been seen as an attempt to alienate the U.S.
Against this backdrop, Prime Minister Abe’s – albeit less explicit – approach to diversifying the channels of communication is a welcome sign of strategic recalibration. His support for the Trump administration departing Hanoi without a deal stands representative for just how much Japan depends on the U.S. for its security. Harmonizing the interests of both allies will be crucial if Tokyo seeks to realign with Washington on the abduction issue and keep the topic relevant. Besides a planned visit by Trump in May 2019, coordination is occurring behind closed doors. A mid-March (2019) announcement by Japan to refrain from submitting a UN resolution condemning human rights abuses in North Korea already speaks volumes. The move, which is the first of its kind for more than a decade of submitting these resolutions, does indicate that Tokyo is altering its position. At this point, it may seem counter-intuitive to retract. In the long-run, however, it appears necessary not to lose its closest ally if the ultimate goal is to come to terms with the past. Even though toning-down the importance of the abduction issue may be a bitter pill to swallow for Prime Minister Abe, failing to address previous policy shortcomings would likely make matters worse. It is more realistic that Abe would like to see his tenure being remembered as transformational and to deliver concrete results that can be seen as solutions. Ideally, Tokyo should scale down its expectations to achieve full closure regarding the abductees – at least for the time being. Rather than ratcheting up animosity, pursuing bilateral and multilateral dialogues could be key to resolving long-held grievances. Being able to do so, will require a flexible approach, which does not revert to politicizing the past. Although easier said than done, Abe’s assertiveness can be advantageous for such a tactic, but only if combined with the ability to compromise.